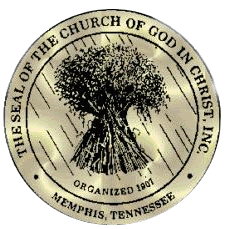 The Gate of Heaven Church of God in Christ has been called to proclaim the good news of the gospel of Jesus Christ. Our focus is on the development of man spiritually, physically, mentally, economically and socially. Our emphasis is on a personal relationship with God through His Son Jesus Christ. Gate of Heaven COGIC strives to provide a spiritual infrastructure to tie family members and families together through prayer, love, fellowship and bible-based instruction. Our Mission is to reach out to ALL people, and share the gospel of Jesus Christ. To that end we pray, study, work, and fellowship with a constant and consistent purpose; to reach the lost and disciple the saved. Comfort the grieving and heal the broken. Provide encouragement to those in need. To open our arms to the downtrodden, disillusioned and forgotten. To help break the chains of addiction, free those who are oppressed and offer a sense of belonging to individuals who feel marginalized. To lead others to a saving faith and acceptance of Jesus Christ as Lord and Savior. To reach our region and the world with the life-changing message of the Gospel, and to reach out to the unchurched in the community. To make disciples by the teaching of God’s word, nurturing and equipping the believers for service. To encourage the manifestation and demonstration of the Gifts and the Fruits of the Spirit and to provide an atmosphere conducive to Spirit-filled worship and praise. To raise up a new generation of Christian leadership.